Perhaps better known to those outside Denmark as the home of Hamlet, Helsingør is a city on the Northeastern coast of the island of Zealand in the East of Denmark. For 100 years the city was heavily industrialised, the home of Helsingør shipyard, but the last ship left the yard in 1983 and in recent years the area has seen a huge effort to convert it into a cultural center, called Kulturhavn (Culture Harbour). 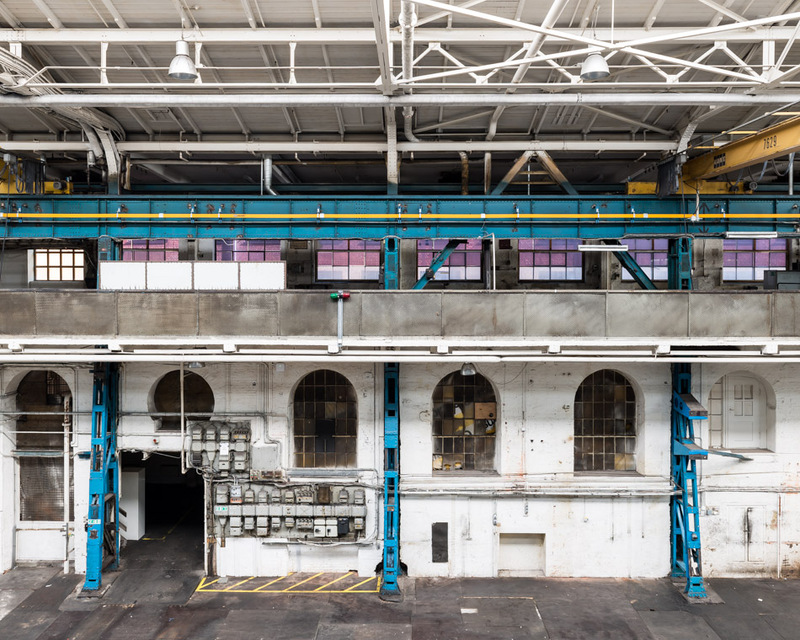 Many of the old industrial building have been converted into museums and cultural centers, but a few are still waiting to be refurbished, such as these buildings which hold the annual Click Festival, focusing on new media and contemporary culture for a weekend every May. I was commissioned to photograph the buildings for the festival brochure, which was produced by Atlas Magazine. Michael Fock, head of the Kulturværftet (the Culture Yard) that hosts the festival, writes in the brochure "Nowhere else in Denmark, perhaps in Northern Europe, is that much history, cultural history, and unique architecture gathered in one single location. Nowhere else is the spirit of a place so completely revealed as in the new cultural space around the old shipyard, Kronborg Castle, and the Culture Harbour. It's the perfect sounding board for storytelling and cultural innovation."